For many people, the process of selecting a chimney cap starts with this question, but the truth is that if you've got an active chimney, you should have a chimney cap. The most basic reason for this has to do with fire safety. Whenever you use your fireplace you create a lot of sparks. Most of them stay within the fire chamber or the base of the chimney, but some will reach the top of your chimney. If you don't have a chimney cap or screen to keep them contained they could very easily ignite your roof or any other nearby flammable materials. A single spark is more than capable of setting your entire property on fire. Chimney caps are not, however, only important because of what they keep in. Uncovered chimneys provide appealing nesting places for all sorts of small animals. Birds are the most common interlopers, but it's not uncommon to find squirrels and raccoons in open chimneys. Such nests are dangerous because any kind of chimney obstruction can cause a smoke build-up inside your home and the waste from these animals can harbor disease. And, of course, living above a functional fireplace isn't safe for the animals involved either. By capping your chimney you're protecting both your family and your wild neighbors. An uncapped chimney is also much more likely to suffer weather damage. Without a chimney cap to block rain and snow, water can seep into the mortar joints of masonry chimneys and cause bricks to become loose. Water can even soak into the bricks themselves, resulting in cracking as the water freezes and expands. Excess moisture also promotes mold growth and is one of the most common causes of unpleasant chimney odors. If you have a metal chimney, exposure to moisture can create even more serious problems; water can destroy insulation, cause rust, and ultimately shorten the life of your chimney. And, finally, a chimney cap can actually help the performance of your chimney. Even if you don't live in particularly windy area, wind can still affect your chimney's draft. Strong gusts can cause the draw of your fireplace or stove to fluctuate rather than remain at a continuous, steady rate. This can cause downdrafting, a serious problem where the smoke from your fire is being blown back down your chimney. Installing a chimney cap can block some of the wind and help your chimney's draft remain constant. Now that you understand why a chimney cap is a necessary investment, you're probably ready to make a purchase. Before you can do that, though, you'll need to identify what type of chimney and flue you have. That information is important because the kind of flue you have determines what kind of chimney caps you can use as well as the measurements you'll need to take in order to ensure your cap will fit properly. Read on to learn about the most common chimney constructions. For Square, Rectangular, and Oval Flues — All extended flues with these shapes use caps that attach with clamps or screws. If you're looking to cover an oval flue, just make sure you look for a model designed specifically to cover an opening with that shape. For Round Flues — Extended round flues can also use chimney caps that attach with clamps or screws. They can also, however, use slip-in caps that slide right into the flue's opening. Single-Flue Chimneys without Extended Flues — This kind of chimney features a single flue that is completely flush with its crown. Once again, your chimney cap choices depend on the shape of your flue. For Square, Rectangular, and Oval Flues — When a flue is recessed inside the walls of a chimney, it isn't possible to attach a chimney cap directly to it. If you want to use a single-flue chimney cap with a non-extended square, rectangular, or oval flue you'll have to get a model that can use legs or brackets. Legs allow you to convert an externally-mounted cap into one that can be slipped inside your chimney, while brackets make it possible for you to mount your cap to your chimney's crown. Legs are suitable for most situations, but if you live in a particularly windy area brackets are going to be your best choice because they attach directly to your chimney. For Round Flues — You don't need to attach legs to a bolt-on cap in order to protect a non-extended round flue. You can simply buy a model designed to slip into the flue's opening. Top-Mounted Chimney Caps — These are most commonly used for chimneys with multiple flues, but they're equally effective for covering single-flue chimneys of all shapes. They mount directly to the chimney crown and can be secured with screws or adhesive. 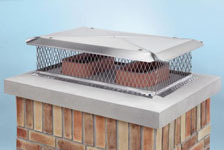 Single-Flue Chimneys with Flexible Metal Liners — Metal liners are often used when an existing masonry chimney is unsafe or damaged. It's very easy to tell if you've got this kind of venting system because liners are softer and more flexible than other metal venting. Because of the way they're designed, metal liners can only be covered with slip-in chimney caps. Multi-Flue Chimneys — Multi-flue chimneys are exactly what their name implies; they are chimneys that feature more than one flue. They require top-mounted chimney caps regardless of whether their flues are extended or not. Chimney Caps that Fasten to the Flue Exterior — These caps attach to the outside of the flue either with clamps or screws. Chimney Caps that Slip into the Flue — Slip-in chimney caps are designed to literally slide right into your flue. You can then apply adhesive for a more secure fit. Double-Wall Air-Insulated Metal Chimneys — This kind of chimney features two walls separated by open space and uses air to cool the flue. Because they are so specialized, they require chimney caps specifically designed for use with double-wall air-insulated pipe. Ideally, you would use a cap manufactured by the same company as your chimney. Double-Wall Solid-Pack Insulated Metal Chimneys — This type of chimney also has an inner and outer wall, but uses insulation to separate the two. In some instances the insulation is left exposed, while in others it is covered with a metal cap. Each type of double-wall solid-pack insulated pipe requires its own specific kind of chimney cap. And, as with air-insulated models, it's best to use a cap produced by the same manufacturer as your pipe whenever possible. Triple-Wall Air-Insulated Metal Chimneys — These function the same way as double-wall air-insulated pipes do, they just have three walls instead of two. They require caps specifically designed to fit triple-wall air-insulated pipes and, once again, it's best to use a model made by the company that produced your chimney. Triple-Wall Solid-Pack Insulated Metal Chimneys — Triple-wall solid pack insulated metal chimneys feature three walls separated by insulation. You'll find models that leave the insulation exposed as well as ones that cover it with a metal cap. Your chimney cap choices are going to be limited to those specifically designed to fit your specific kind of pipe. All chimney caps improve draft, but if you live in an area with extreme winds a standard model may not be enough to prevent downdrafting problems. In those situations you may need a special draft-increasing cap to ensure that your fireplace vents properly. Draft-increasing chimney caps rely on Bernoulli's principle to create stronger updrafts. Their design forces wind around their tops rather than allow it through their openings. This increase in air velocity decreases the static pressure above the chimney and causes a partial vacuum, forcing the smoke inside the chimney upwards. As a result, the harder the wind blows on this type of cap, the better your updraft will be. And it doesn't even matter which direction the wind is blowing. It is important to note, though, that these caps can't solve draft problems that aren't related to wind. If you have draft issues related to air inversion or the chimney top pressurization that can occur when your chimney is surrounded by tall objects, you'll have to seek out other solutions. Also, most draft-increasing chimney caps are designed to fit factory-built metal chimneys. If you're interested in using one for your masonry chimney, make sure you select one that can be used with an adaptor. When you have draft problems that can't be solved by any other means, an electric draft-increasing cap may be your best option. These products act as both a chimney cap and a draft inducer and feature adjustable electric fans that allow you to directly control your draft. Just keep in mind that these chimney coverings are, due to their complicated nature, going to be much more expensive than other varieties. You should also have them installed by a chimney service professional. If you've got an older masonry chimney with a loose-fitting, broken, or missing damper mechanism, heated or cooled air can escape through your chimney whenever your fireplace isn't in use. That translates into wasted energy and, of course, wasted money. Getting a chimney cap and damper combination may be the easiest way to eliminate this energy loss, particularly if you were already planning to get a chimney cap. The dampers in these combo models function just like any other top sealing model; the damper sits on top of your flue and is controlled via a cable that runs through the chimney and connects to a lever mounted to your fireplace wall. Opening and closing the damper is as simple as changing the position of the lever. A Note About Cap and Damper Combos: These caps are only available for square and rectangular chimneys. If you've got an oval or round flue you'll have to buy your damper and cap separately. Most masonry chimney caps are mounted directly onto a chimney's flue or crown. Outside-mount chimney caps fit over the crown and attach to the body of the chimney. That makes them a good choice if you have multiple flues, oddly-shaped flues, or a poorly constructed crown. 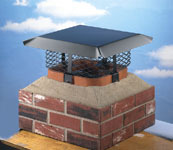 Outside-mount caps also provide some of the best weather protection because they cover the entire top of the chimney. Due to the wide variation in chimney dimensions, outside-mount caps are often made to order, but it is possible to find stock models. These are typically designed to fit a range of dimensions and are a much more economical option if you're interested in this type of chimney cap. Flue stretcher chimney caps allow you to raise the height of your masonry chimney's flue by one or two feet while protecting your home from the elements and animal invaders. Some homeowners find their taller style more appealing than that of traditional caps, but the motivation behind creating this kind of chimney cover is purely practical. By elevating your flue you can solve some of the most common smoky fireplace problems. How do you know if a flue stretcher would help you? Take a look at the following scenarios and see if they sound familiar. Just keep in mind that even if your situation resembles the ones described below, you won't be able to use this kind of cap if you have a round or oval flue; they're only available for square and rectangular chimneys. 1. Smoke sometimes comes back into the room when you've got a fire burning. Downdrafts can be caused by a variety of different things, but if your chimney is below your roof line and there are structures blocking the flow of air to your flue, your problems may be caused by insufficient flue height. When trees, other parts of your home, or nearby buildings are taller than your chimney, your chimney may fail to develop an ambient updraft and smoke can be forced back down your chimney. A flue stretcher can help in this situation if raising the height of your flue a few feet will make it taller than the surrounding structures. 2. The flues for your upstairs and downstairs fireplaces are adjacent to one another and smoke comes out of the fireplace on the lower floor when you have a fire in the one upstairs. This is caused by the negative pressures inside your house. As the smoke is exiting the flue connected to your fireplace on the upper level of your home, the flue from the one on the lower floor is automatically pulling it back in. Adding a flue stretcher to the flue from the upstairs fireplace can eliminate this problem because it creates more space between the two flues and makes it more likely that the smoke from the upstairs fireplace will be able to escape the draw of the downstairs flue. Once you know what kind of flue you have and how you want to cap it, you're ready to start thinking about chimney cap size. In almost every situation determining the size you need takes only a few quick measurements; the trouble is that different types of flues and chimney caps require different measurements and, if you're not really familiar with them, it can be difficult to figure out which ones you need. The following chart provides information about how to measure the most common chimneys for a standard chimney cap. Chimney Caps Designed to Increase Draft — Draft-increasing chimney caps differ from standard models in the way their tops are constructed rather than the way they attach to your chimney. Therefore, you can usually measure for them the way you would measure for a standard cap. This holds true even if you want to cover a masonry chimney and need an adaptor. Chimney-Cap and Damper Combinations — Measuring for this cap is as simple as measuring the inside length and width of your rectangular or square flue. Once you've done that you can search for a model designed to fit those dimensions. Outside-Mount Chimney Caps (Stock Models) — When getting this kind of chimney cap you'll need to measure the length of each of your chimney's exterior walls and the height of your tallest flue. Then you can search for a cap designed to accommodate your chimney's dimensions. Just make sure that the model you select is at least five inches taller than your tallest flue. Flue Stretcher Chimney Caps — All you need to measure for a flue stretcher cap is your flue's outside length and width. After that you simply have to find one designed to fit those dimensions. But What If I Don't Have a Flue? Most masonry chimneys have some kind of flue, but if, after scaling the homeowner's equivalent of Mt. Everest you discover that you're one of the flueless minority, there's no reason to be concerned. It's still possible for you to get a chimney cap; your options are just going to be limited to those varieties that can be mounted directly to your chimney's crown. Basically, you have two choices. You can use either a standard flue cap with brackets or a model designed for multiple flues. Regardless of which type you want, you'll need to measure the length and width of your chimney's opening. This will give you the minimum area that your chimney cap needs to cover. 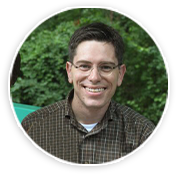 If, however, you're more concerned with maximizing protection than minimizing costs, you can get a cap that covers everything up to the edge of your chimney. Just measure the length and width of your entire chimney in order to determine the largest chimney cap you can use. Chimney caps are most commonly manufactured from galvanized steel, aluminum, stainless steel, and copper. The one that's right for you will depend on your priorities, preferences, and budget. Read on to learn more about the advantages and disadvantages of each type of cap. Galvanized chimney caps are amongst the least expensive available. However, they are also some of the least durable. This is not to say that they're totally flimsy - you'll usually get at least five years of service out of a high quality one - but they are much more prone to corrosion than caps made with other materials. Once a galvanized chimney cap's zinc coating becomes compromised, it's only a matter of time before it rusts and will need to be replaced. Consequently, this type of cap may literally cost you less to buy, but you could ultimately wind up spending more on maintenance and replacements than you would for a more expensive cap. Some homeowners also find the appearance of galvanized steel chimney caps to be somewhat lacking. Because they're built with an emphasis on cost-efficiency, they're quite limited in terms of style. Most are simply painted black and feature very basic, utilitarian designs. Of course, a cap's appearance doesn't matter nearly as much as its performance, but it's something to keep in mind if you're interested in giving your home a certain look. Aluminum chimney caps are also relatively inexpensive, with prices falling into a range very similar to that of galvanized steel models. Unfortunately, aluminum caps aren't particularly durable either. They possess better corrosion resistance than caps made of galvanized steel, but are significantly less sturdy. This is partially because they weigh less, making it much easier for wind and extreme weather to disturb their mountings, and partially due to the softer nature of aluminum. Aluminum is generally more prone to bending than galvanized steel. In terms of appearance, though, aluminum caps have an edge over galvanized steel ones. Their bright and shiny finish tends to make them appear a bit more sophisticated even though their designs don't have much more variation than those of galvanized models. Aluminum is also fairly resistant to soot build up, allowing it to maintain its attractive shine with less frequent cleaning. Stainless steel chimney caps are generally regarded as the best balance of performance and cost. They are slightly more expensive than aluminum and galvanized steel caps, but they are much tougher. Stainless steel is so corrosion resistant that it is almost rust-proof and it is more than strong enough to withstand harsh weather. It is not uncommon for this type of cap to come with an extended or lifetime warranty. And they require essentially no maintenance. Unless your cap is somehow torn off of your roof, the most you'll ever have to do is a quick cleaning. Like aluminum models, stainless steel chimney caps are usually more attractive than galvanized steel caps. They are naturally shiny and, because they don't tarnish, they remain that way over time. If you want a chimney cap with a crisp, clean look, stainless steel is probably the way to go. If style is a priority, your best choice is going to be a copper chimney cap. Whether you choose to maintain their original color or allow them to develop a natural green patina, these caps naturally enhance most brickwork and have an elegant look other chimney covers just can't provide. Many people with historic houses prefer them because of their classic appearance. Copper chimney caps are also extremely durable. They have corrosion-resistance properties similar to steel and are just as unlikely to rust. Plus, because copper is heavier and generally stronger than stainless steel, copper caps are often considered to be the sturdiest option when it comes to flue coverings. Most models are backed up by a lifetime warranty. All of this strength and beauty does, however, come at a cost. Copper chimney caps are much more expensive than ones made with other materials. A copper cap can easily cost almost four times as much as a comparable galvanized steel model and twice as much as stainless steel one. In terms of maintenance, copper can also be fairly demanding. If you're interested in maintaining a copper cap's original color, you'll have to clean it regularly and continually reapply protectant. You could, of course, hire someone to do it for you, but that will add significantly to your overall costs. As you may have noticed, chimney caps are described as having either 3/4" or 5/8" mesh. What those numbers are referring to is the size of the holes in a cap's screen; a model with 3/4" mesh has larger openings than one with a 5/8" screen. Generally speaking, they don't differ much in terms of performance. Both models provide excellent weather and animal protection and one variety doesn't provide better updraft than the other. So why the difference then? The answer has to do with fire safety and building codes. Some areas, particularly those in or near woodlands, have building codes that require all chimney caps to have 1/2" spark arrestors. This means that the mesh used on the chimney caps has to be small enough to prevent a half-inch sphere from passing through them. The hope is that by keeping sparks that are larger than half-an-inch from leaving the chimney, you'll be able to reduce the risk of wildfires. Caps with 3/4" mesh cannot meet this standard so people living in locations with these laws needed an alternative - enter the 5/8" mesh chimney cap. Caps with 5/8" mesh have become the industry standard for areas that require 1/2" spark arrestors. In fact, so many of them can be found in California, one of the largest users of small-mesh caps, that they're often called California-style chimney caps. When Should I Use a 5/8" Mesh Chimney Cap? The most obvious reason to use a chimney cap with 5/8" mesh is because your local building codes require it. If you're not sure what the codes are in your area, the easiest way to find out is by contacting your town's municipal department. Even if local laws don't mandate the use of a 1/2" spark arrestor, though, there are a few other situations where you might want to consider investing in one. If, for example, your roof has wooden shingles or you have trees or wood structures near your home, it might be a good idea to invest in a chimney cap with smaller mesh. Similarly, homeowners living in areas with particularly dry climates would benefit from using this kind of chimney cover. Caps with 5/8" mesh generally don't cost that much more than comparably-sized 3/4" models and the additional protection - not to mention the peace of mind - they offer is well worth the extra money. Generally, chimney caps don't require many accessories. There are some situations, however, where you might need a few extras. Below is some information about the chimney cap accessories you're most likely to come across. Factory-Built to Masonry Chimney Adaptors - These allow you to use specialty chimney caps that are normally designed for factory-built chimneys, like draft increasers, with masonry chimneys. Flue Shape Adaptors - This kind of adaptor makes it possible to use a chimney cap with a flue shape it was not originally built for. You'll only find them for masonry chimneys. Legs - These allow you to use a standard single-flue cap with a square, rectangular, or oval masonry flue that isn't extended. You simply attach them to the cap and slide it into your flue as you would a slip-in model. They're a good choice for most installations, but if you live in a particularly windy area you're better off getting brackets because they provide a stronger hold. Brackets - These also allow you to use a standard single-flue cap with a square, rectangular, or oval masonry flue that isn't extended. They're more secure than legs in windy conditions because they are mounted directly onto your chimney's crown. You can secure a chimney cap with an adhesive, sealant, or screws. If your cap requires screws they're typically included with your purchase, but if you need an adhesive or sealant you may have to buy them separately. Your chimney cap's installation manual will tell you what kind of sealant or adhesive you should look for. Most chimney caps don't require any sort of additional treatments to keep them in good shape. But if you have a copper or aluminum cap and you'd prefer that it remain shiny, you'll need to apply a protectant. Most of these are available in convenient spray containers and will protect your chimney cap from fungus and oil as well as water. They also usually dry clear and won't interfere with your cap's appearance. There's a lot to consider when choosing a chimney cap, but that doesn't mean that it has to be a stressful task. Once you understand what your options are and how to determine your needs, you'll find that the selection process is actually fairly simple. In fact, after you've done a bit of research, the hardest thing you'll have to do is dig your ladder out of the garage.